It all started with the brilliant Sunday night set on the main stage at All Together Now from Fleet Foxes. I have been meaning for a while to catch up with their current album ‘Crack-Up’. So, they come out and play a load of tunes that I know from their first two records, and they are of course great. But the absolute standout tracks are ones that I don’t know which quite clearly must have come from ‘Crack-Up’. When I come back from Waterford on the Monday afternoon over I go to Newbridge and into Golden Discs to get my hands on a copy, upon which I have been gorging ever since. And as is now standard procedure with a new record, I get myself onto YouTube etc. to look for live performances and different versions of the various tracks, interviews from the band relating to the album, all that sort of stuff. Back in the day we had to wait for the NME to come out but not anymore. In the course of these meanderings I come across an extended interview for KEXP radio in Seattle. 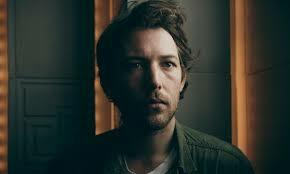 The interviewer asked Robin (Pecknold, main man of Fleet Foxes) if the distinct song structure on this album was a deliberate departure or was it something which evolved almost unwittingly. This was a thrilling and illuminating moment for me. Here is a man whose simple creative criterion is whether or not something should be in the world, whether or not something should exist. All of ‘Crack- Up’ is interesting and wonderful and is quite clearly something that should exist. Robin, evidently, practices what he espouses. But so many don’t, so much stuff should not exist. Most of what’s on Netflix should not exist. The packaging for pre-made petrol station sandwiches should not exist, all of the plastic washing up on beaches and choking our marine life should not exist, Brexit should not exist, Love Island should not exist, the big tactics screen that they have started making the analysts on Match of the Day use should not exist, Happy Meal toys should not exist, Happy Meals should not exist. Most of what exists is worthless garbage. Robin Pecknold is a man sufficiently thoughtful to recognise that this is the case and does not want to be responsible for one more shred of a contribution to the growing pile. The very bad has the very good in a Hulk Hogan style submission chokehold. Pretty soon anything any good will have to tap out, go live in the woods and spend the rest of its days mumbling to itself about what might have been. What the world really needs right now is very simple; more trees and less assholes.